Confero, Inc., of Cary, North Carolina, USA was named Customer Service or Call Center Consulting Practice of the Year in the 2011 Stevie Awards for Sales & Customer Service. Entries for the 2012 awards are now being accepted. Confero, Inc. is a national customer experience measurement firm that helps clients provide a service to their customers. Operating throughout the United States, Canada, and the United Kingdom, the firm offers customer service mystery shopping evaluations, customer brand support services, customer satisfaction research, and employee incentive and recognition programs. Here we look at how they successfully beat the competition and handled the tough conditions of 2009-10. Confero has a policy of never saying “no” to its clients. People have requested some very short deadlines with seemingly impossible logistics, but Confero knew that in each case the client had a need that absolutely had to be addressed. Confero is known for its unusually fast, turn-on-a-dime projects. Most competitor companies want 30 to 60 days notice, a substantial setup fee, and multiple meetings in order to accept a project. The Confero team, however, can place a finished project in the field in 30 days or less—sometimes in only 3 to 4 days—which is quite an accomplishment in the industry. Because of the economic climate, client companies often would not receive funding for projects until the last minute, but these projects were nonetheless important. By using its ability to get a project into the field quickly, Confero was able to really help these clients. With only 10 days’ notice, the Confero team was able to put a year-end program for 8,000 visits into the field last December, managing mystery shop visits to 8,000 locations in eight weeks, with pre-shipped and prepared on-the-spot prizes, which is completely unheard of in the industry. To give more of an idea of the scope of this project, it was carried out across the United States in the middle of one of the worst winters on record. In February, just before the start of the U.S. Census, the government contracted with an agency to market the census to underrepresented sections of the population. This agency contacted Confero with just three weeks’ notice to go into independent Hispanic- and Asian-American-owned-and-operated grocery stores to educate the owners about the census and to place marketing materials in the stores to encourage their customers’ census participation. The agency came to Confero after using two other providers who had not been able to complete the project. Confero finished the project for them in the three weeks. Confero aims to make its clients look good by ensuring access to the resources needed to scale up or down, depending on the project. Confero’s “Don’t Say No” attitude asks: If we do this project, how exactly can we accomplish it? 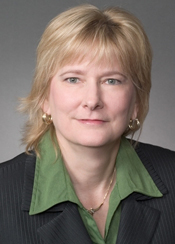 Confero’s president Elaine Buxton earned a B.S. from UNC-Chapel Hill and an MBA from Meredith College, which named her one of its top 100 graduates. She has been recognized among the top 25 businesswomen by Triangle Business Journal, named as a Woman Extraordinaire honoree, and honored by Enterprising Women magazine. Elaine and the Confero team ranked on Inc. Magazine’s Inc. 5000 list and at No. 51 on the Top 100 North Carolina Small Businesses list. Elaine is a founding member and immediate past president of the Mystery Shopping Providers Association and serves on the Better Business Bureau of Eastern North Carolina board of directors. Confero, Inc. is a national customer experience measurement firm dedicated to helping clients provide outstanding service to their customers. The firm offers customer service mystery shopping evaluations, customer brand support services, customer satisfaction research, and employee incentive and recognition programs. For more information, call (800) 326-3880 or visit http://www.conferoinc.com.